Rucksack with a capacity of 60 liters. 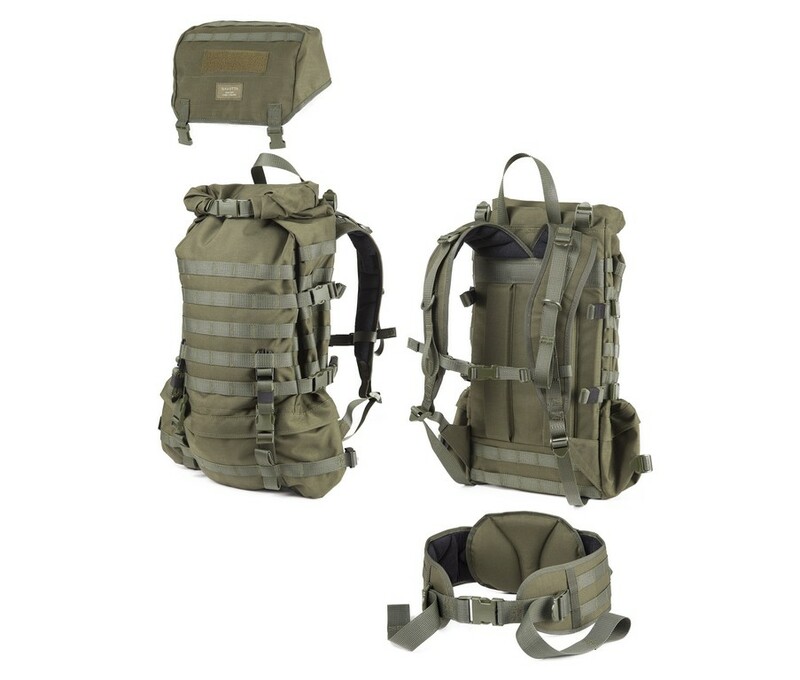 Molle system. Jääkäri L (a.k.a. 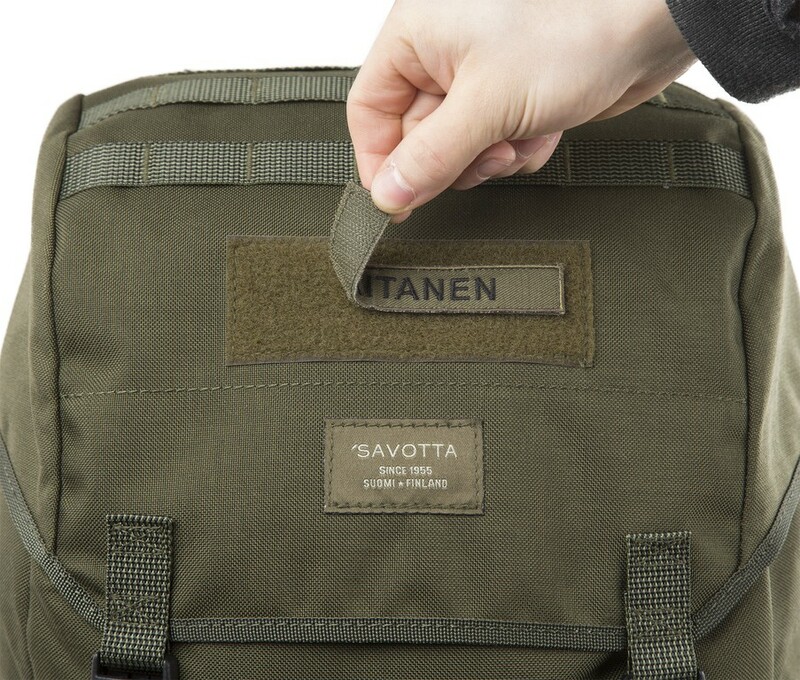 Rajajääkäri) is an improved model of the Border Patrol rucksack that was originally designed for the Finnish Border Guard. The original Border Patrol is a classic from 1989 and it is still actively used by the border guards and countless hunters and hikers. During all these years, we have gathered user feedback, experiences and wishes to our product development database. With the help of this valuable information we have revamped Border Patrol into a modern and very durable anatomical rucksack: Jääkäri L! Jääkäri L is not your average anatomical rucksack but a tool designed for a demanding user that will not fail you when the going gets tough. 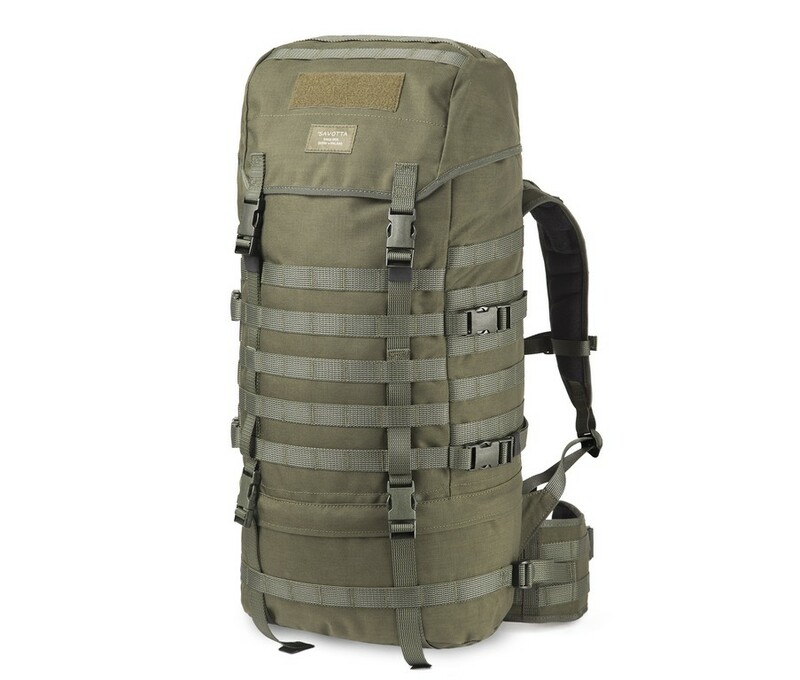 The sturdiness of the original Border Patrol rucksack has received so much praise that we decided not to change the support structure. 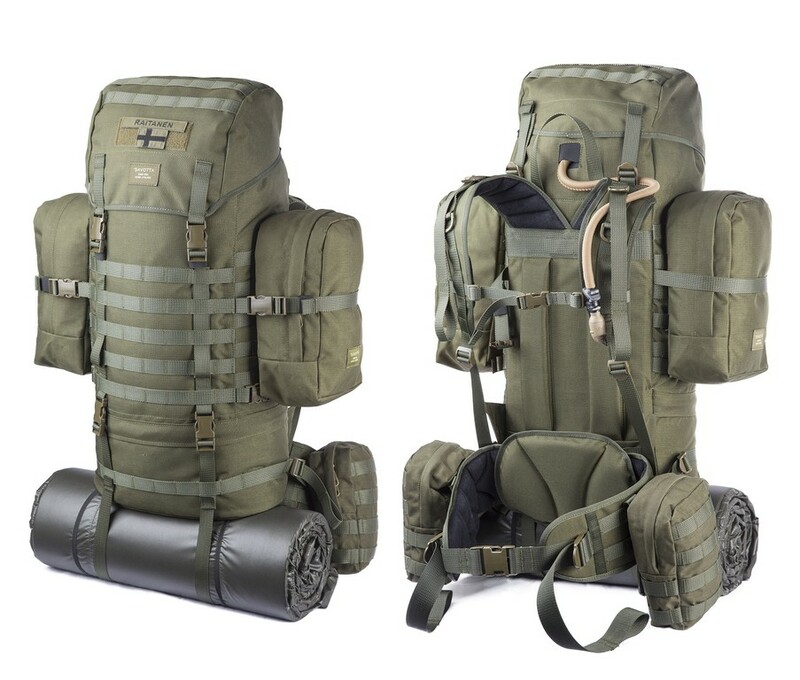 The bag and carrying system, however, underwent such a drastic modification that it is difficult to recognise the forefather of Jääkäri L.
The many details and extensive MOLLE webbing make the rucksack a truly modular and versatile tool. Due to its slim shape, the rucksack is ideal for skiing and hiking in demanding terrain where being able to keep your hands free and available for use is a must. Due to the strong internal aluminium frame and completely renewed shoulder straps and hip belt, Jääkäri L is really sturdy to carry. The support frame holds Jääkäri L firmly in shape and distributes the burden anatomically to your hips so that your back and shoulders are not overstrained even with a large load. With the compression straps of the bag, even a pack that is not full can be tightened so that it sits firmly and does not jiggle around. The actual bag of the Jääkäri L rucksack has been designed to be slim but still spacious enough to hold the necessary supplies for a medium-long hike. The opening of the bag is closed with an extremely waterproof rolltop method that enables overpacking. With the help of the rolltop, the height of Jääkäri L is freely adjustable between 60 cm and 80 cm making the stepless adjustment of the rucksack size possible according to need. The rolltop opening is locked with a quick-release fastener of 25 mm. The opening is covered with a flap which hugs the top of the backpack and is secured with straps. The flap has been attached with adjustable straps from both sides. This “floating” flap enables easy overpacking and the protection of the overpacked load. The handsome “hat” makes Jääkäri L also look like a jaeger. If necessary, the generous length of the straps provides a lot of space under the flap for extra supplies, such as a sleeping bag. Furthermore, there is a very spacious zippered pocket for valuables inside the flap (dimensions 26 x 30 cm). The hat of Jääkäri L embodies a Velcro patch (dimensions 5 x 13 cm) that can be used to attach a name, flag or any other patch. The bag contains a divider that can be closed with a string to divide the bag into top and bottom sections. The top section of the bag includes a pocket against the back which closes with Velcro (dimensions 28 x 50 cm) that holds the aluminium support frame of Jääkäri L. This pocket can also be used for a hydration bladder or supplies to be kept separately. The pocket also fits a small laptop, but it requires protection when paired with the support frame. The top of the bag, immediately under the rolltop closure, features a protected exit for the hydration bladder hose, cable or antenna. A hanging loop above the pocket can hold items, such as a hydration bladder, safely and securely. The contents of the bottom section of the bag are quickly accessible via a separate zip. The zip includes two pullers with strings so that the bottom section can be opened at the chosen point also while wearing gloves. With the four compression straps on the sides of the Jääkäri L rucksack, the bag can be tightened compactly even if it is not full. 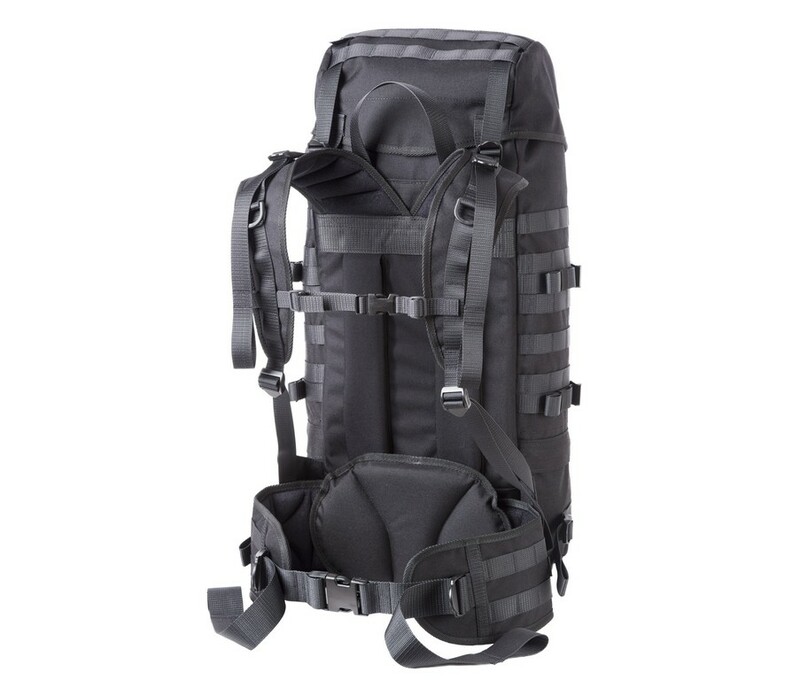 The compression straps are equipped with quick-release fasteners of 25 mm and their ample dimensioning enables their use for attaching long items on the sides of the rucksack. 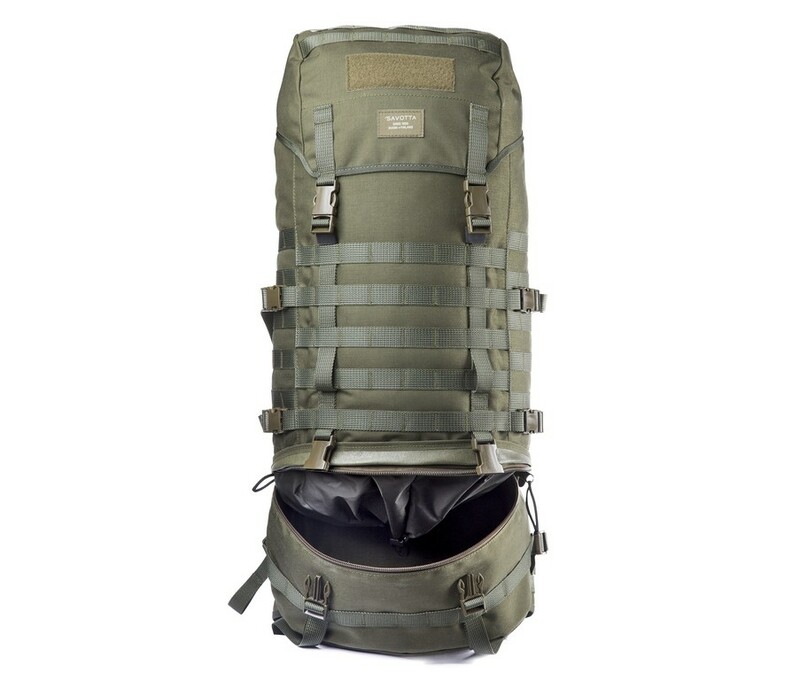 No Jääkäri is complete without the modular structure provided by PALS webbing familiarly known as “MOLLE”. 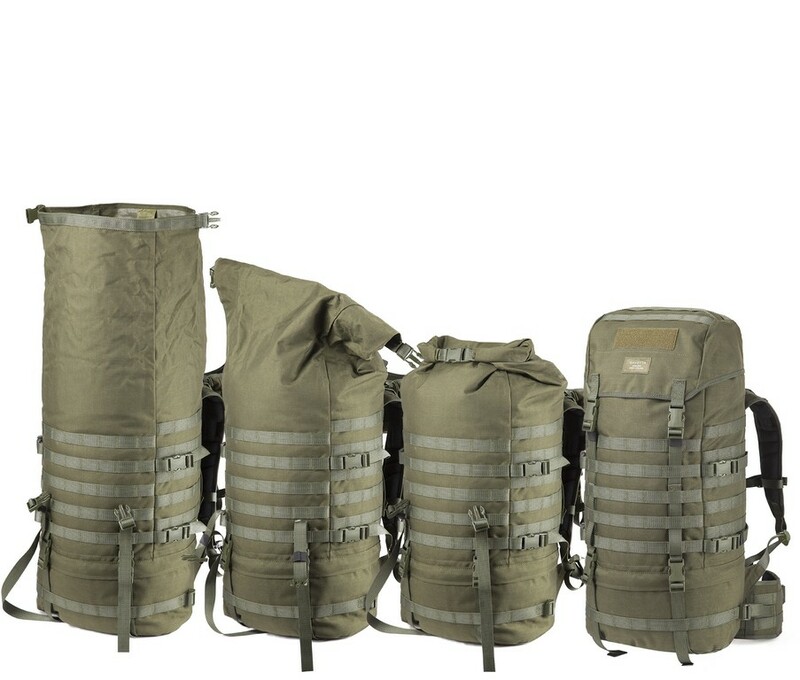 PALS/MOLLE is an attachment system used by the military in almost every country. This attachment system has been created for conditions requiring unconditional modularity and durability. 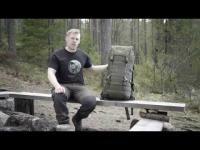 The very Finnish-sounding MOLLE is an acronym for: Modular Lightweight Load-carrying Equipment. PALS, on the other hand, stands for: Pouch Attachment Ladder System. By applying this technology, the Jääkäri L rucksack has been made into a cutting edge modular package. 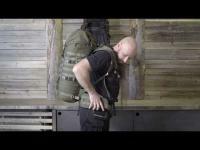 MOLLE webbing can be found on the front, sides, flap and even the shoulder straps and hip belt of Jääkäri L. With MOLLE, you can attach any pocket compatible with PALS almost anywhere you want on Jääkäri L. By means of suitable pockets, the Jääkäri L rucksack can be freely expanded into a multifunctional carrying device with adequate characteristics to meet the needs of even top professionals. 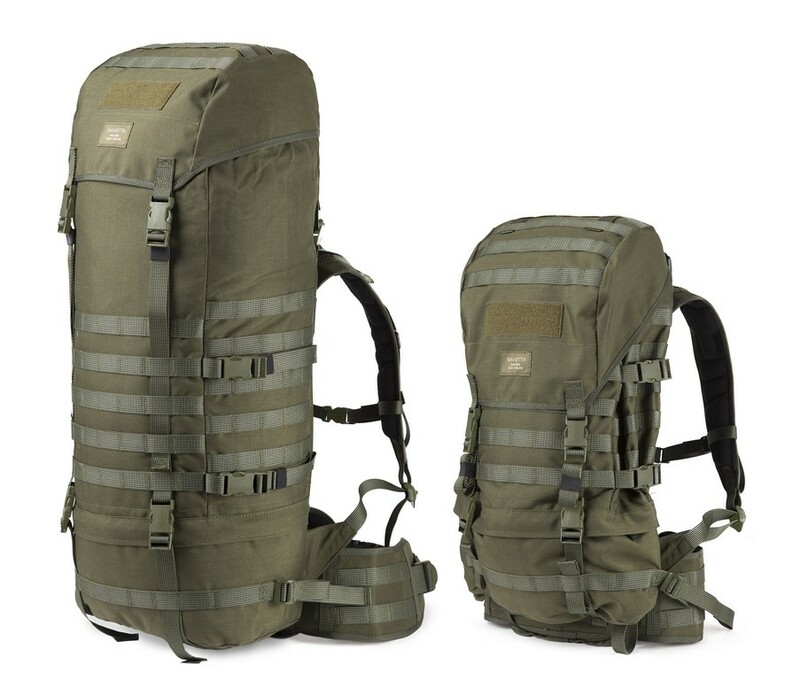 In addition to its modular attachment possibilities, the MOLLE webbing reinforces and stabilises the rucksack. 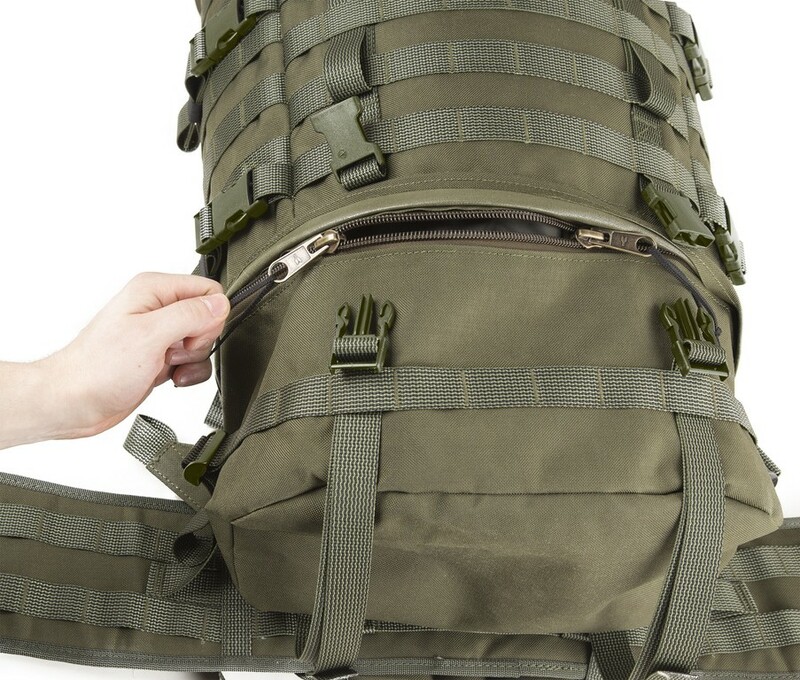 One MOLLE loop on the Jääkäri L rucksack can bear over 100 kg of weight. The long attachment straps begin above the Jääkäri L bottom pocket and they run up the front side all the way to the top flap’s quick-release fasteners of 25 mm. 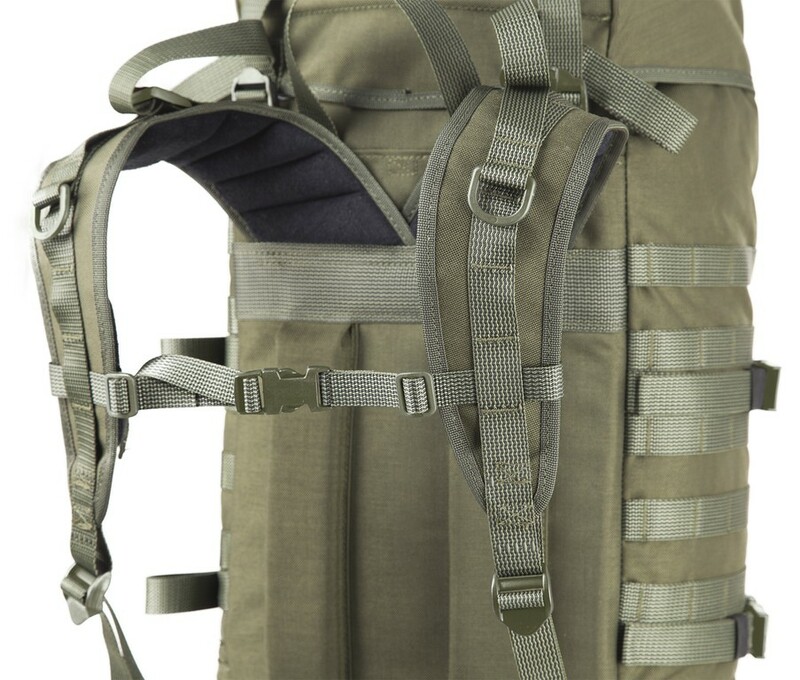 Similar straps also run under the bottom of Jääkäri L and they connect with the quick-release fasteners above the bottom pocket. If necessary, a 25 mm strap dives nicely along the MOLLE webbing and can be lifted to the surface wherever desired. This enables the tying of supplies securely on the front of the rucksack without additional detachable straps. The straps running under the bottom support the posture of Jääkäri L in the case of heavy loads and enable carrying loads attached to the bottom. Rolled sleeping mats, for example, are ideal for attaching to the bottom. It is also possible to fasten items that would not otherwise fit in the backpack behind the side compression straps of the bag. The attachment straps are dimensioned long for this purpose. Separately purchased detachable straps can also be used. Extra special attention has been given to the carrying system of Jääkäri L. The support frame of Jääkäri L is exactly the same as in Border Patrol, which has been in active use by the Finnish Border Guard for over 25 years. 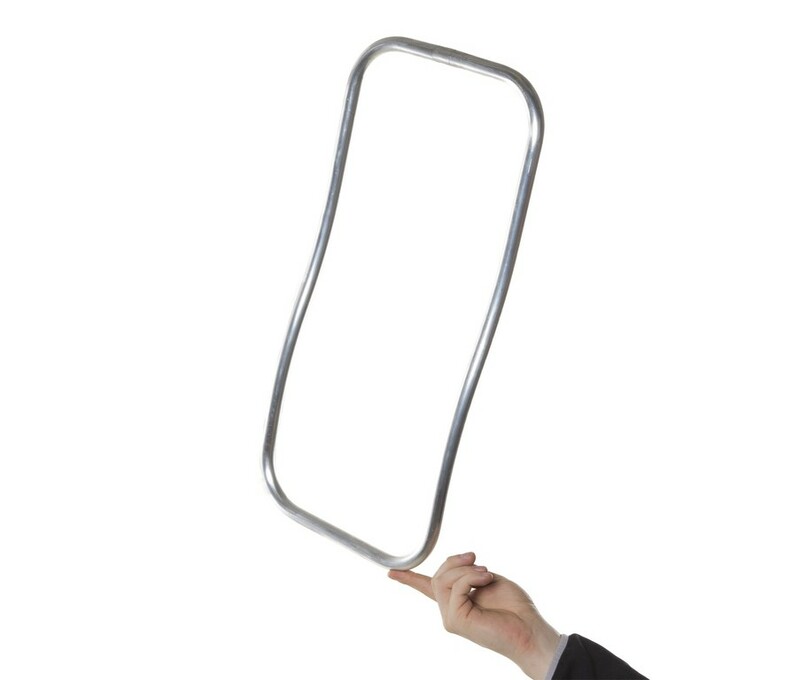 This ergonomically shaped frame made of DUR aluminium pipe has yet to find its match. Some things just last the test of time. The carrying system has been designed for very demanding conditions. The state-of-the-art ergonomic shoulder straps and robust hip belt with a padding pillow form a world class package in terms of both durability and comfort. Jääkäri L is an anatomical rucksack with no external pipe frame, which enables moving in narrow places with the rucksack. 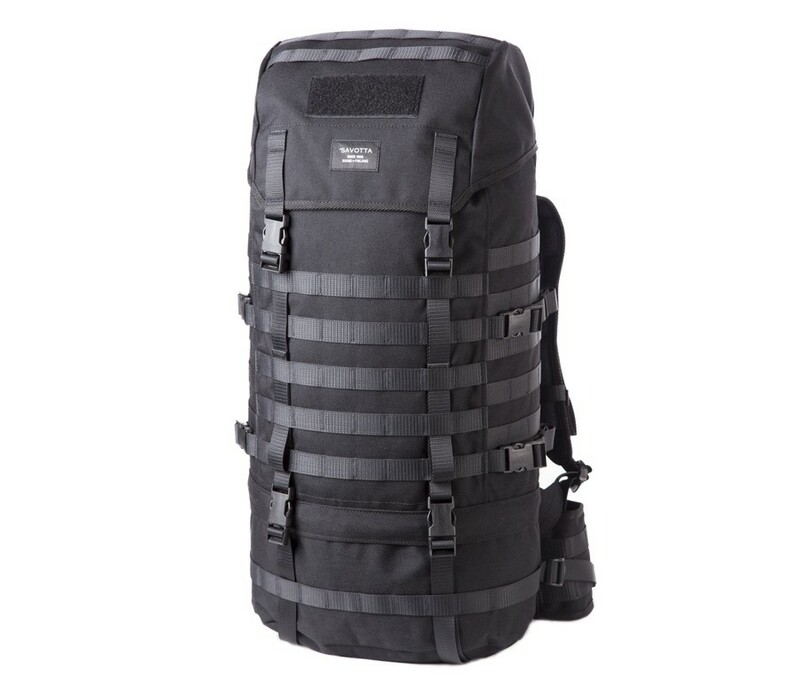 This type of rucksack is also extremely well suited to globetrotters due to its adaptability. The wide shoulder straps and hip belt support and distribute the load evenly. The shoulder straps are adjusted with ladder buckles made of Delrin special plastic blend. The buckles have excellent resistance against strain, shock and even the freezing cold. The shoulder straps also have a separate adjustment for the distance of the bag. This adjustment is used according to the terrain and/or when you want to transfer more of the burden to the hips and rest your shoulders. The adjustment is also necessary in demanding situations where you want to pull the Jääkäri L rucksack as close to your body as possible for running and rushing. 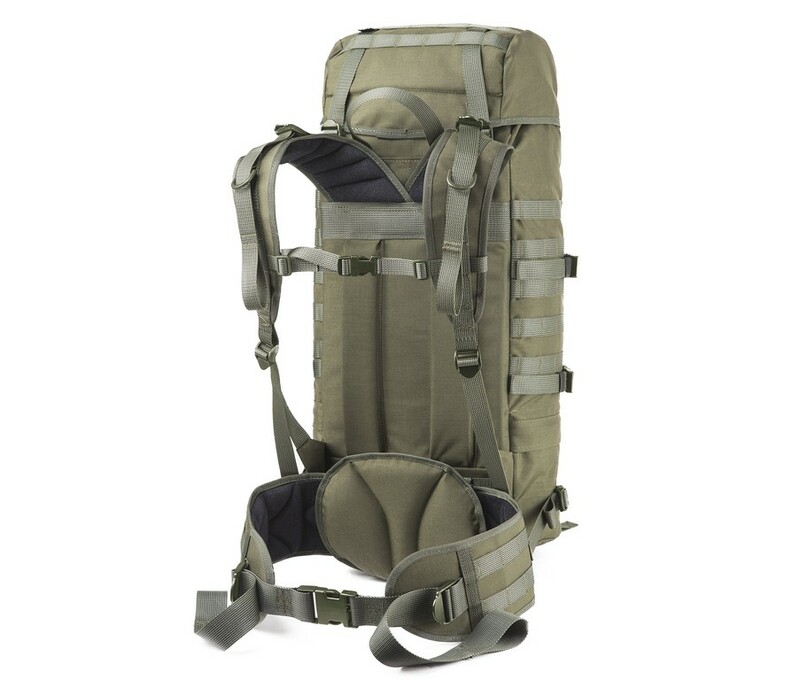 The chest strap of the shoulder straps holds them securely in place and contributes to the evening out of the load. The length and height of the chest strap can naturally be adjusted. As a bonus, the shoulder straps have attachment loops for small items. The hip belt is particularly sturdy and the padding pillow fits perfectly against the small of your back. The hip belt’s solid quick buckle of 40 mm keeps the belt fastened firmly but can also be undone quickly. The belt tightening and loosening is done with the help of 40-mm ladder buckles on both sides of the hips making the direction of the movement ergonomically correct and their use extremely easy. 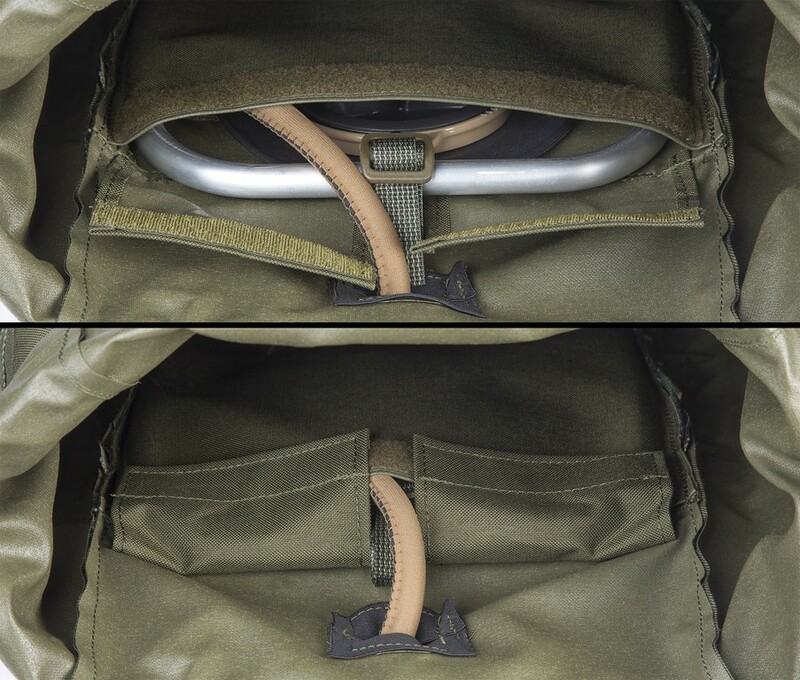 The hip belt also features additional adjustments on both sides that enable pulling the bag closer to the hips so that the Jääkäri L rucksack cannot sway from side to side, for example, when running. 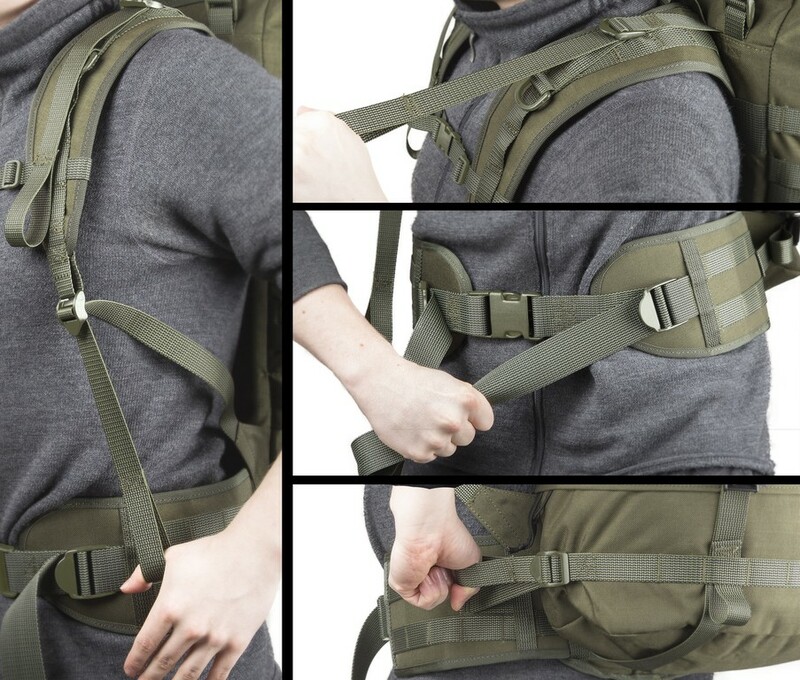 The hip belt can be taken off completely and it can also be attached a step higher or lower making the rucksack adjustable according to the anatomy and proportions of the person carrying it. 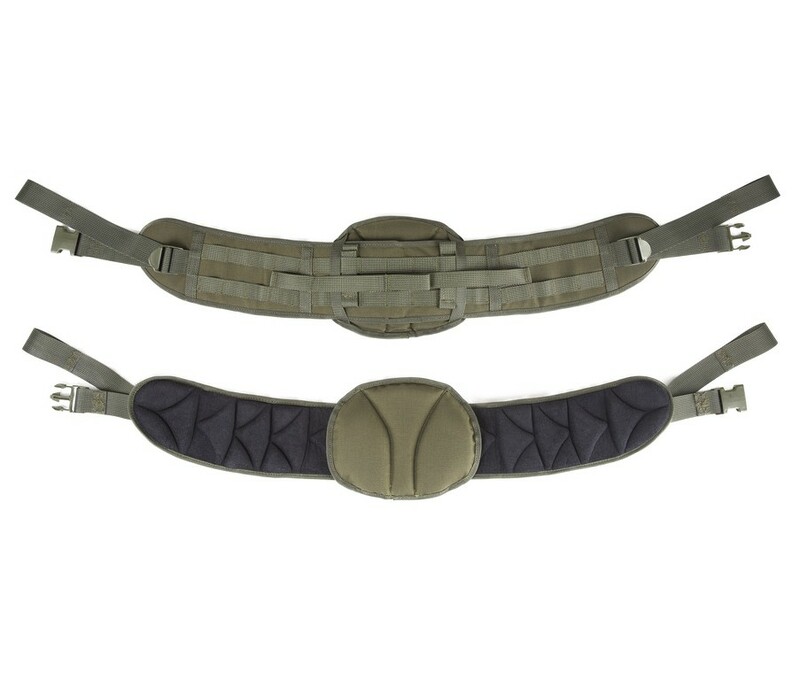 When detached, this belt equipped with full-length MOLLE webbing serves as an equipment belt (duty belt/battle belt) to which any MOLLE compatible additional pockets and supplies can be attached on its entire length. We at the Savotta product development department are very excited about this feature, because it enables completely new kind of modular thinking. The padding pillow of the hip belt is deliberately firm in order to support the user’s lumbar region when carrying heavy loads. The padding pillow can be replaced with a softer one or left out completely, which ever option best suits your own body. 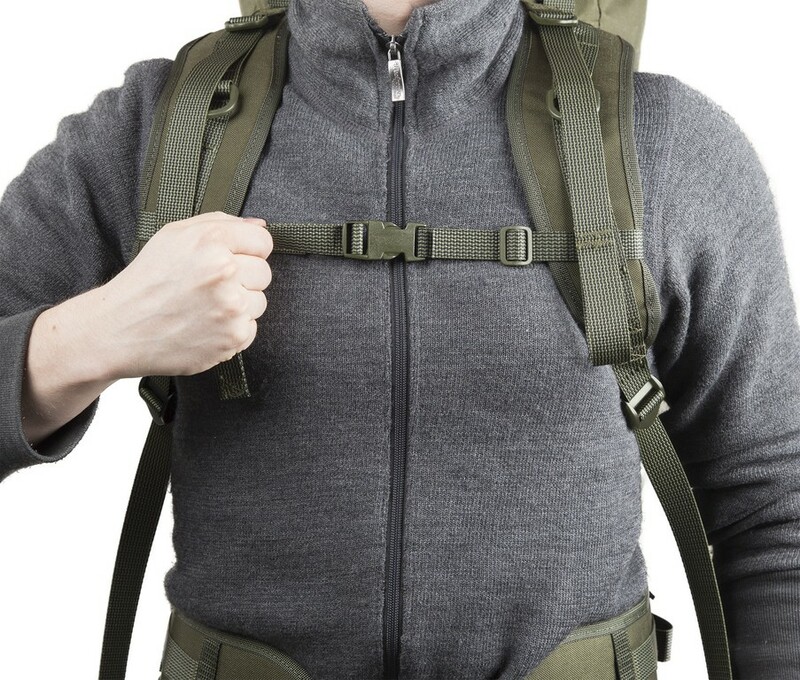 The top of the rucksack features a carrying handle with which the rucksack can be moved easily when it is not on your back. The carrying handle is sufficiently long to also allow for grabbing it when wearing gloves. The use length of the hip belt is always shorter than the adjustment length. Clothing and belt padding reduce the use length usually by 10–15 cm. The use length is measured from the user’s hips with all clothing and the belt padding is added to the measurement.